Invest Capital Bank is allegedly run by a team of experts in stock trading. They share their profits with you, so they offer up to 1.9% daily on your investment. But the truth is different. 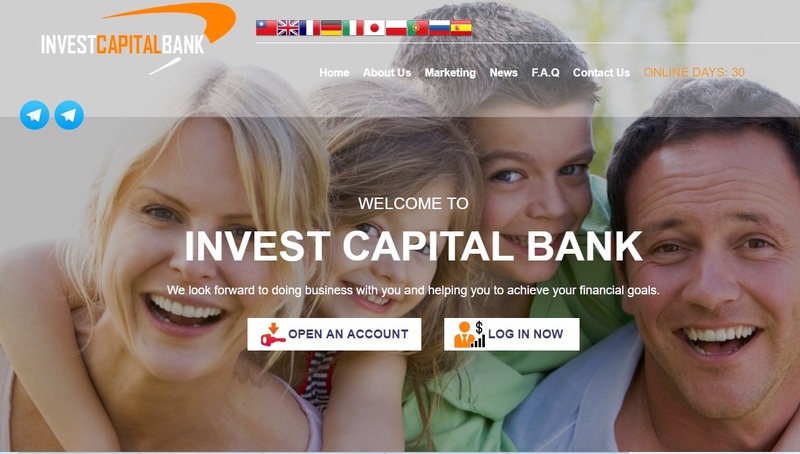 The first we notice with Invest Capital Bank is that it is a fake company that is not registered in the United Kingdom. They clearly lie about their legal status. The registration number they provide belongs to another company. Invest Capital Bank is not registered nor licensed to provide investment services, it is an illegal operation. So, we have here a fake company that is promising to make you 1.9% daily on your investment. It’s obvious that you cannot trust them. Plus, 1.9% daily is a number that is not achieved even by the best hedge funds, it is very unrealistic and unsustainable in the long term. Invest Capital Bank is a typical Ponzi scheme. They collect deposits from people and might use some of that money for the first withdrawal requests. But this scheme always runs out of money in the end, because withdrawal requests will exceed deposits, and then a collapse will follow. Invest Capital Bank is a scam that you have to stay away from, the company is not real, the plans are unsustainable. If you want to see how money can be made in genuine financial trading, try a free demo with a regulated broker. Use the demo to gain an understanding of how trading works and what you need to learn to be successful.